Home › Smaid - Handle For 30 Oz Fits Yeti Rambler Tumbler Rtic Ozark Trail Kodiak..
Smaid - Handle For 30 Oz Fits Yeti Rambler Tumbler Rtic Ozark Trail Kodiak..
LASER CUT PRECISION - Guarantees to fit your beloved 30oz tumblers. Fits most standard vehicle cup holders. UNBREAKABLE DUAL RING DESIGN - Provides the perfect amount of stability vs single ring handles even when upside down! Color:Purple TENS OF THOUSANDS of Amazon Buyers Trust Smaid to Provide theHighest Quality Products. 100% SATISFACTION GUARANTEED. Manufactured by AoocanCups. Ships from the USA. The Smaid handle has been tested on various branded30 oz tumblers and perfectly fits the YETI tumbler, RTIC, SIC Glacier, GridGear, Eskimo, Thermik,Ozark,Magnum Steel, Kodiak, Boss, Polar Drifter, Engel,Titan, Polar Pad, Smart, ICONIQ, Epic, Bison, K2, Smart, Zero, Kryo Kup,Iceberg and Frosti tumblers. 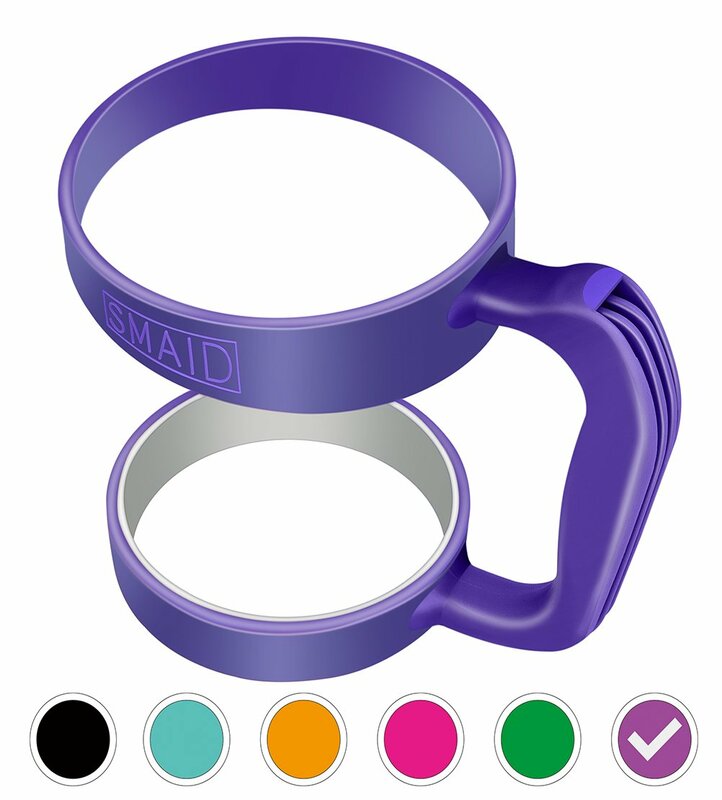 The Smaid brand,Smaid Logo and the Smaid Cupsbrand are registered trademarks of Smaid Cups. Smaid handle is not only aperfect fit for your cup but also fits in most car cup-holders. BUY NOW !CLICK ADD TO CART to purchase your 30oz Tumbler Handle. These also make greatgifts, so feel free to BUY EXTRA for your family & friends.